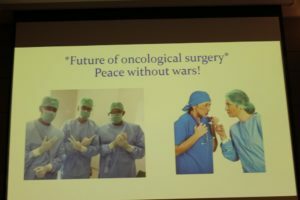 “Medicine feels like war…but the aim is peace,” says Professor Niv Patil, an acclaimed surgeon and medical educator at Hong Kong University. 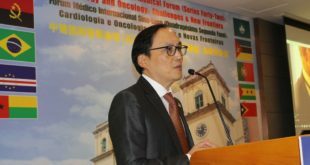 At this past weekend’s stellar scientific symposiums and workshops of the 42nd Sino-Luso International Medical Forum, Prof. Patil examined the state of oncology, noting that its future would be high-tech and minimally invasive. And this must have a high degree of medical education training to support it. After all, medical education and continued lifelong training for doctors, nurses, and frontline healthcare providers is essential for mitigating risks and improving peoples lives. Historically, practicing medicine felt like a war but has improved with more technology—but this has to be done in tandem with excellence in medical teaching. 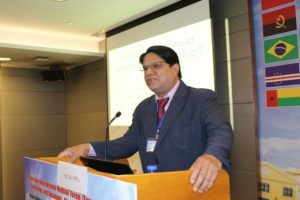 Prof. Patil said, “We even prepare our lecturers at Hong Kong University for how to make more engaging power points…and what to do if the technology fails.” That way the students are properly stimulated with their simulation training. Awarded the MBE by Queen Elisabeth II for his remarkable work in Papua New Guinea, Prof. Patil’s combination of pluck and precise messages allowed dozens of Macao’s frontline healthcare providers to properly digest his food for thought. 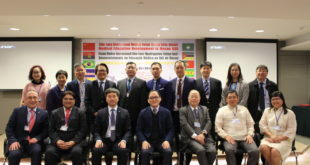 He was joined in company by special guests from Beijing and Shanghai in the World Association of Chinese Doctors and the 3-million doctor strong Chinese Medical Doctors Association, the Hong Kong Academy of Medicine, Conde de São Januário hospital of Macau, and many others. 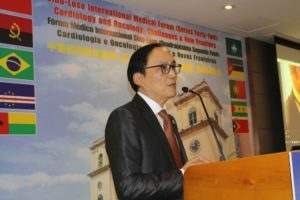 Dr. Zhang Yanling, President of World Association of Chinese Doctors (WACD), also addressed the audience on the fate of medicine in China, and President of the Sino-Luso International Medical Forum Professor Manson Fok spoke about the 10,000 doctors the forum has trained since launching in 2011. 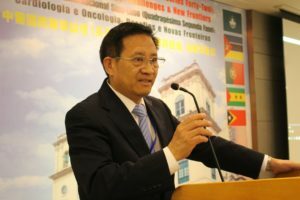 Professor Fok, who is the Dean of the Faculty of Health Sciences at Macau University of Science and Technology (MUST), and Dr. Billy Chan, Vice President of the Sino Luso International Medical have made it a mission to improve local Macau healthcare training—with Sino Luso holding sessions in Macau, Hong Kong, Beijing, Porto, Manila, and Phnom Penh.In n 2014, they launched a sister Sino Asia Pacific Medical Forum for regional healthcare training with a special communiqué signed from doctors around the world and witnessed by former Portuguese president António dos Santos Ramalho Eanes. 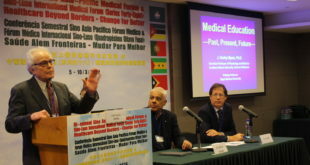 Professor Patil also co-chaired the Saturday afternoon discussions by Brazilian and Portuguese doctors at the Dr. Stanley Ho Medical Center in the Landmark hotel. These included Dr. Luis Sousa, a senior Member of Portuguese Medical College of Surgery & Portuguese Society of Senology, and senior surgeon at Conde de São Januário hospital. 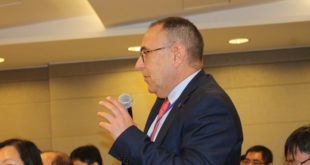 Dr. Daniel Alvarenga, of Sao Paulo, Brazil, and Dr. José Manuel Esteves, the former Clinical Director of Hospital Casimiro da Silva Marques, also spoke in the afternoon session. Dr. Nancy Tsui, a genomics expert from Avalon Genomics in Hong Kong, Prof. Wang Xiangdong of Fudan University in Shanghai, and Prof. Xia Jinglin, an expert in the Oncology Department at the Zhongshan Hospital in Shanghai and Fudan University, presented dynamic science as well. There were also hands-on workshops conducted by two colleagues from Prince of Wales Hospital of Chinese University of Hong Kong at the Faculty of Health Sciences and MUST.